The island of Guadalcanal in the South Pacific was the base for American aircraft squadrons that engaged Japanese Navy and Army air forces over the Solomons. 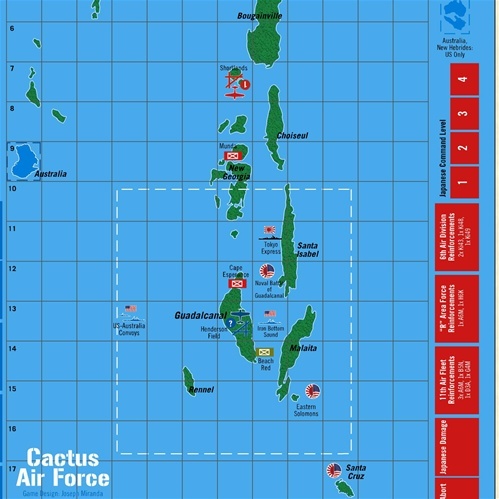 Those squadrons became known as the “Cactus Air Force” (from the codename given to the island itself). 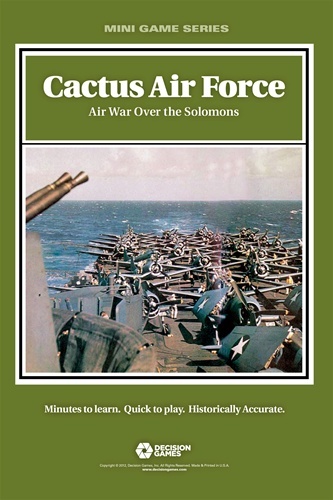 Cactus Air Force is a two- player wargame covering the air campaign over the Solomon Islands during critical period late in 1942. 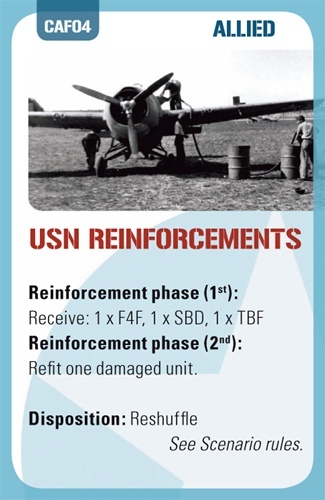 Both the American and Japanese players move their bombers to attack critical targets while using fighters to struggle for air superiority. Each player controls units representing air groups. All of the famous aircraft are here: Japanese Zeroes, Bettys and Oscars, and Allied F4F Wildcats, P-40s, and B-17s. 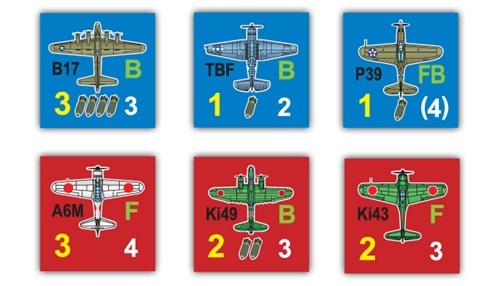 Each unit is rated for air superiority, bombing and speed. The game uses a new and unique system that facilitates aerial operations, dispensing with the usual record keeping. The map covers the entire Solomon Island chain centered on Guadalcanal. 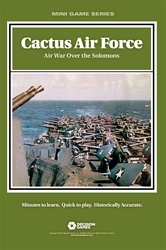 Cactus Air Force is part of the Air Wars mini-game series. Each player has a deck of Campaign Cards. They generate a range of events, including major naval battles such as Eastern Solomons, to which players can commit their air units. Certain cards can be played in combination to gain operational advantage, leading to tense decision making. 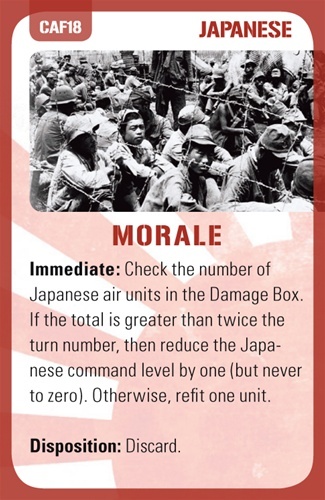 There are special rules for Henderson Field, fighter-bombers, and the Tokyo Express.